The new Viking 58 Convertible headlined our annual Dealer Meeting and Sea Trial Event. The three-stateroom, two-head blue runner will exceed all expectations as both a tournament champion and versatile family cruising yacht with all the quality, comfort and superior engineering you've come to expect from Viking. Our signature center console walk-around helm provides excellent 360-degree sightlines. 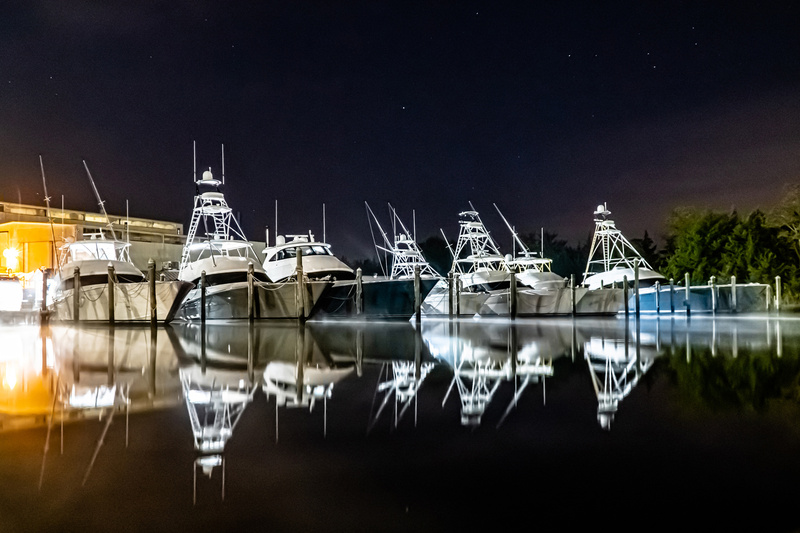 The Viking subsidiary Atlantic Marine Electronics has custom designed and installed the 58 C's electronics, navigation, safety and audio-visual systems. 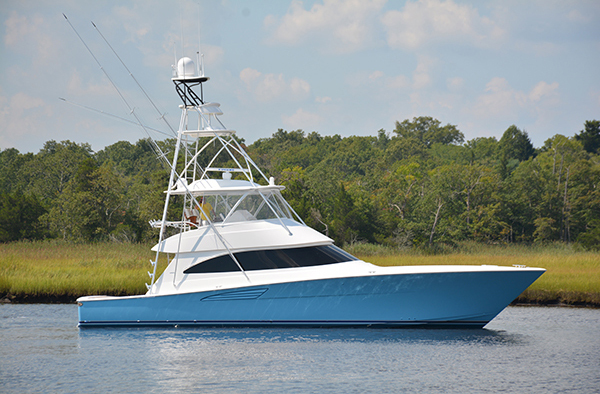 Palm Beach Towers, another Viking Company, has outfitted the boat with a custom hardtop with drop-down electronics box and a full tuna tower. These sister companies play a major role in our ability to deliver turn-key-ready yachts. Hull number one is powered with a pair of the new MTU V10 2000 M96 engines rated at 1,600 MHP each. With this power and standard fuel, she exceeds 40 knots at the top end and delivers a comfortable cruise in the mid-30-knot range. Three different engine options from MAN are also available. You'll be hard pressed to find a boat in its class with a cockpit larger than the 58 C's, which measures 165 square feet. An arsenal of fishing equipment and an abundance of storage give you the fire power to put you in the winner's circle. Forward of the salon's L-shaped lounge, the galley includes high-gloss teak-faced cabinetry, engineered-stone counters, a 2-stool bar area, under-counter Sub-Zero refrigerator and freezer units with deep pull-out drawers, a 4-burner cooktop and a microwave/convection oven. The master and forward staterooms each have custom inner-spring mattresses and private access to the heads with spacious fiberglass shower stalls and built-in molded seats. The forward stateroom is offered with either a queen or crossover berth arrangement. The port stateroom features side-by-side berths.